Below, we have listed some of the scripts we have created for websites. Keep in mind, we are subcontracted by other web design companies and are not always able to show our full portfolio, and sometimes are completely unaware as to where our scripts will be installed. "Skill Level" is defined as the intensity of coding required to build the script. "Website Build" indicates whether or not we built the website, as well, in which the script has been installed. Click any image or script title below to visit live website. All of these scripts are live on real websites; so, please show respect in activating a script. This website was built from the ground up, and remodeled a few times through the years. 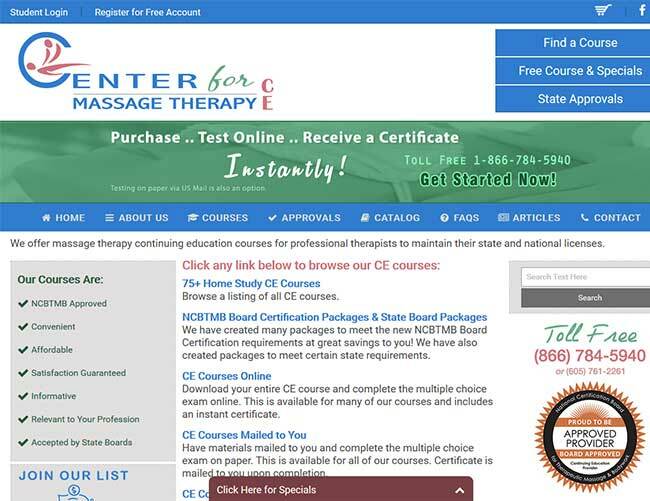 It is a continuing education (CE) website for Massage Therapists at which they can purchase CE courses online, test online and receive instant certificates. This website provides a custom shopping cart, online registrations and logins, custom online testing center, and instant course completion certificates. This website has a custom back-end MySQL database and administration area so that the site owner can manage registrations, purchases, courses, testing material and more. A website of this magnitude requires extensive knowledge of custom PHP and MySQL coding. 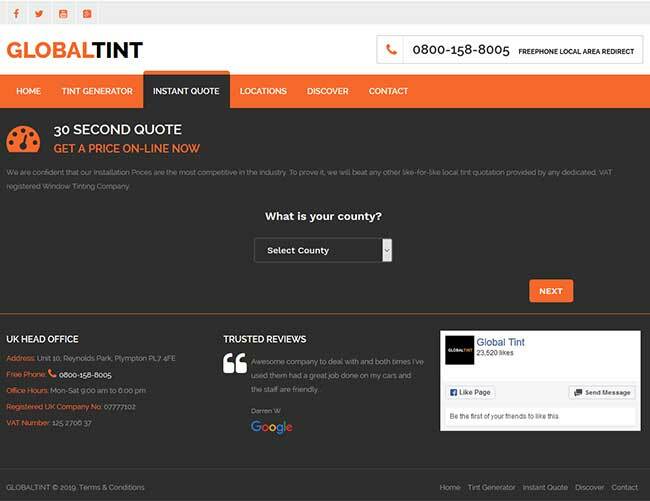 This company is located in the UK and uses their instant quoter to calculate window tinting fees. A site visitor answers a few simple questions and an instant quote is generated. These quotes are stored in a database. 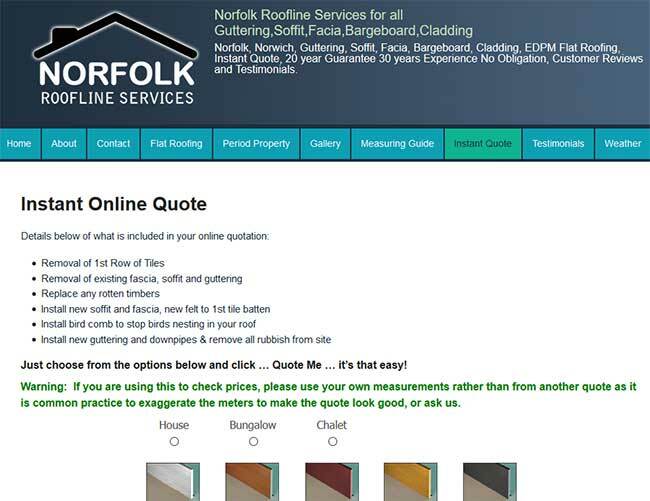 The site visitor can also book an appointment at the end of an instant quote if so desired. This company is a large manufacturing company that builds concealed emergency lighting fixtures. These fixtures are in major buildings all over the world. This script is an add-on to their current website (which we are in the process of rebuilding for them now). We built a custom, back-end MySQL database to store all the orders and their tracking information. We built them a custom admin for managing the order information. 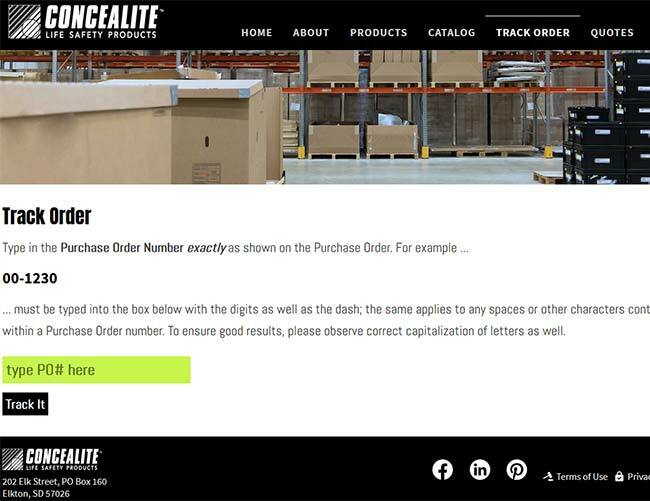 Their customers can punch in their PO number and all of the related order information will appear on the next screen. This website has an add-on real estate listing script that we built custom. It has a custom, back-end MySQL database that contains all the properties and their information. We also built a custom administration area for the site owner. 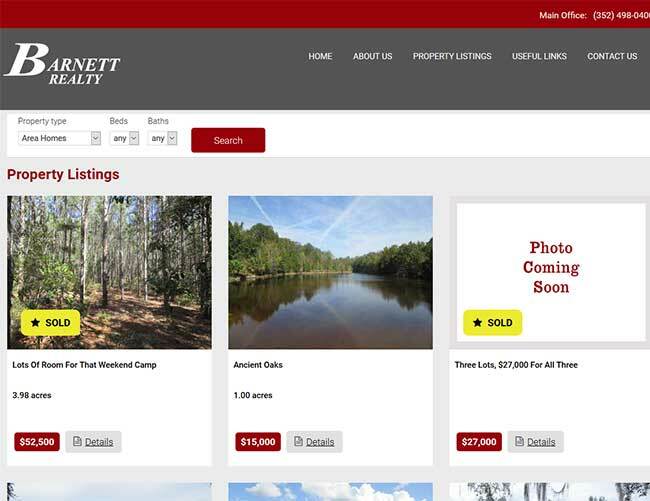 The site owner can login and mark properties sold as properties become unavailable and a "sold" indicator will show on the website. We built in a few grouping pages for the properties to make it easier for the site visitor to sort. Works fast and is very clean. 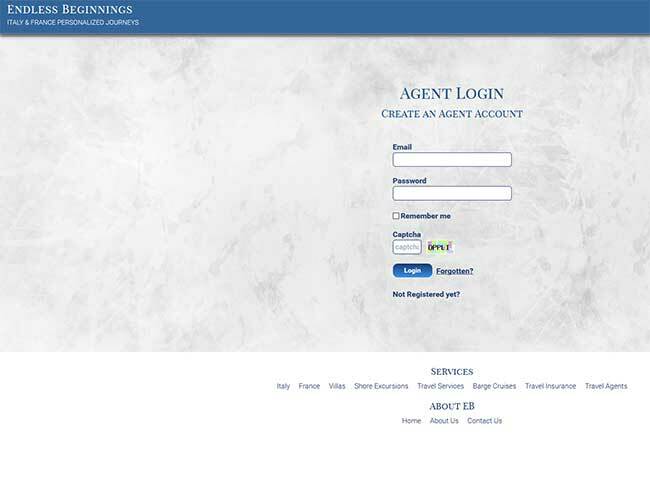 We built a travel agent login script for a Italy & France travel agency. This script was desired by the site ower so that travel agents could login and retrieve private information provided to them by the agency. We built a custom, back-end MySQL database to store the logins and the private information to be shown to an agent upon login. We also built a custom administration area for the site owner. 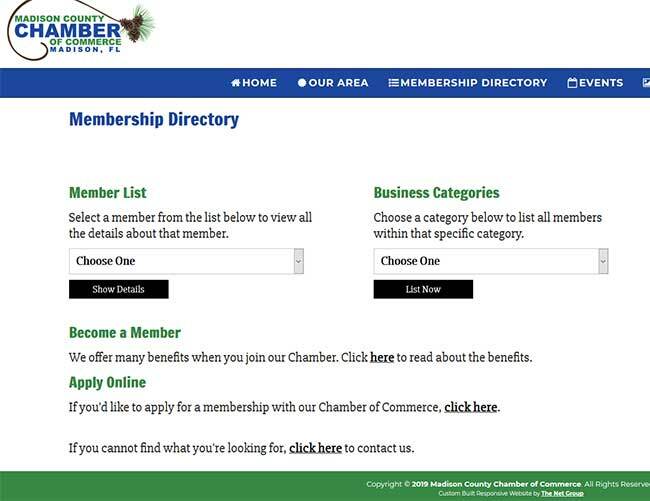 This is another rendition of our Member Listing Script used on many Chamber of Commerce websites. This script includes a custom, back-end MySQL database that stores all the chamber members and their information. The website has a custom administration area for managing these members as well. On the front-side of the website, the Member Area allows for various ways to search the members and then display their information in a pleasing manner onscreen. 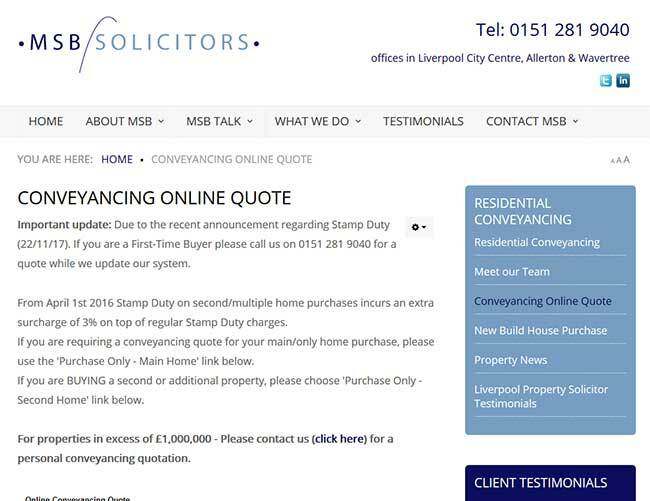 This website add-on is another rendition of our real estate listing script capabilities that we built custom. It boasts a custom, back-end MySQL database that contains all the properties and their information. We also built a custom administration area for the site owner. 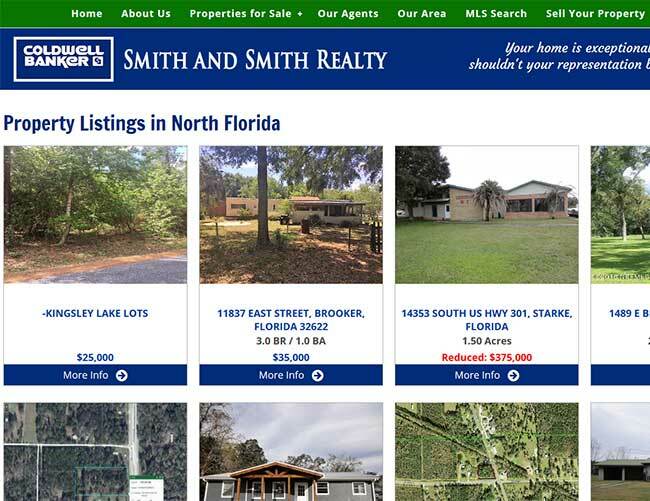 The site owner can login and mark properties sold as properties become unavailable and a "sold" indicator will show on the website. 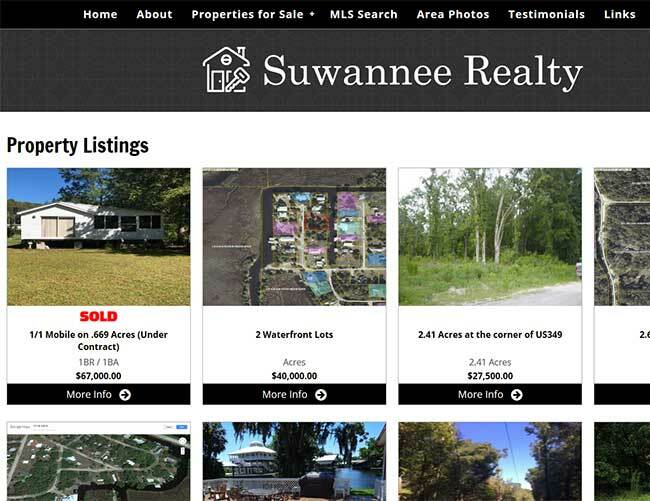 We built in a few search functions for the properties listed on this site. Works fast and is very clean. Another one of our specialties is building advanced forms for live interaction with your site visitors. 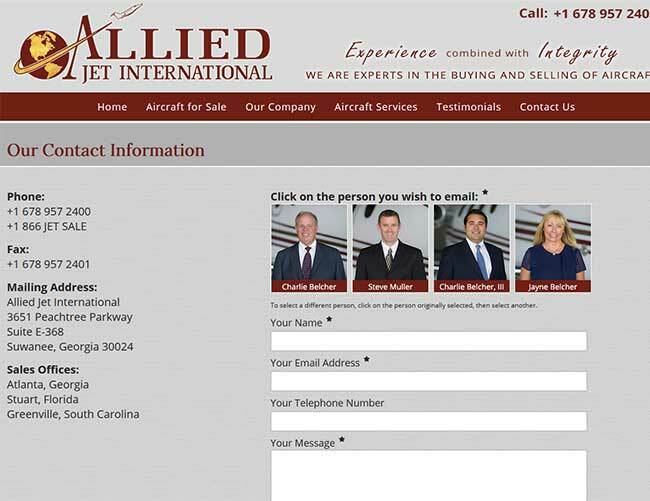 You can see that the contact form on this website is very special because it allows you to pick the person you would like to email. We use the person's photo as well for the interaction. 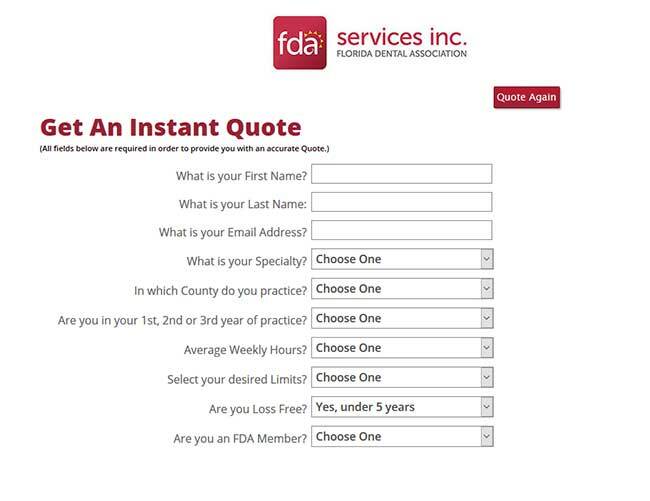 This form was a special touch to this already spectacular website we built for this company. All online restaurants should own one of these! 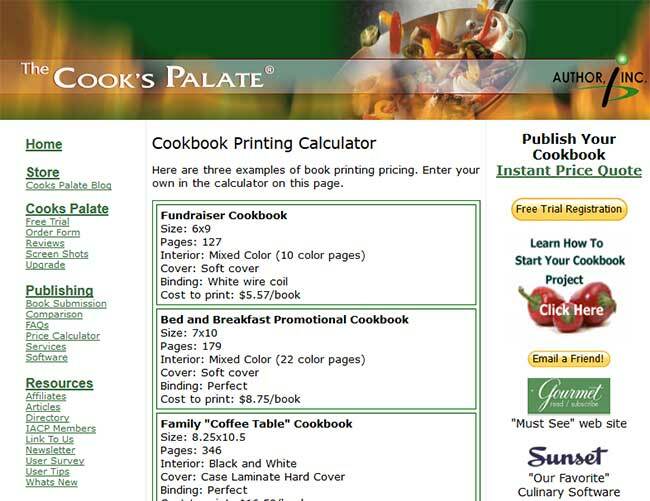 A clean, easy-to-understand menu for potential customers. We created this add-on script for this website to blend perfect with its design. 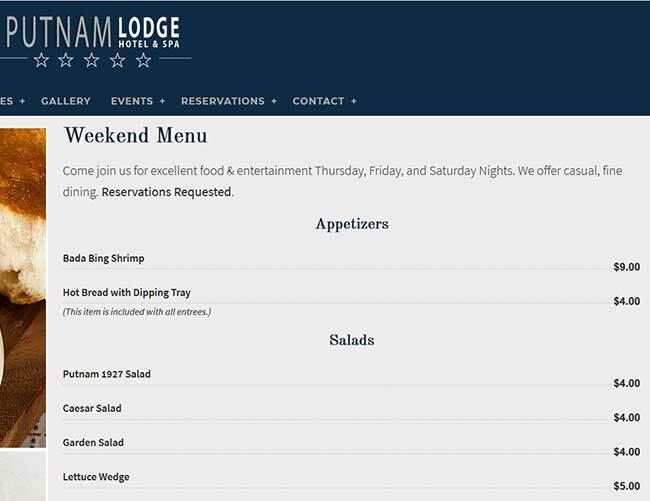 We built a custom, back-end MySQL database to store the menu items and prices and provided a custom administration area for the site owner. The site owner can simply login and update the menu prices and items super easily. 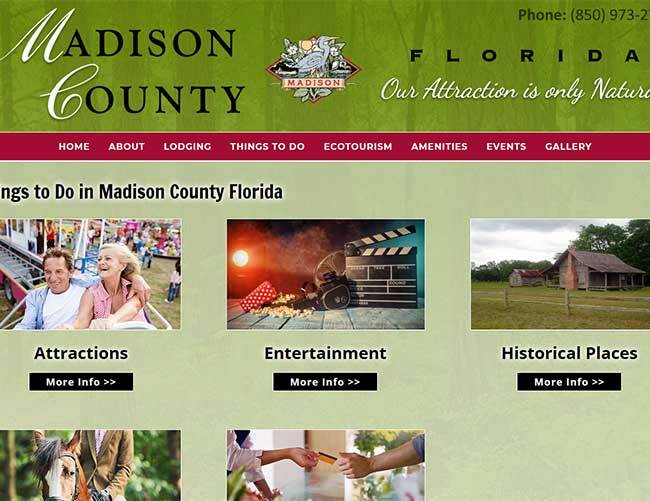 This website was built from the ground up, and remodeled a few times through the years. 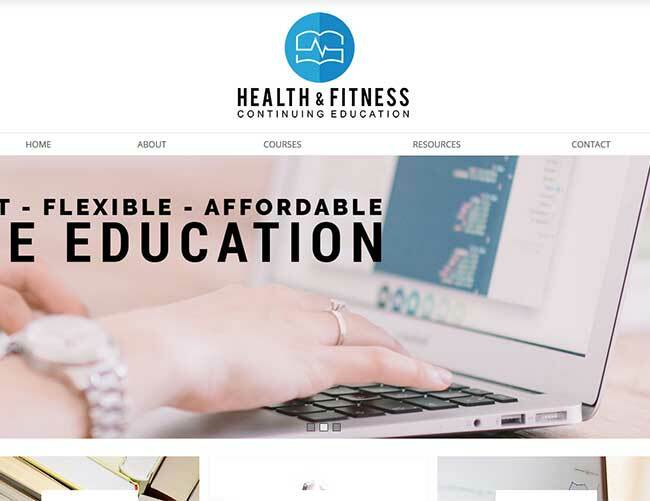 It is a continuing education (CE) website for Fitness Professionals at which they can purchase CE courses online, test online and receive instant certificates. This website provides a custom shopping cart, online registrations and logins, custom online testing center, and instant course completion certificates. This website has a custom back-end MySQL database and administration area so that the site owner can manage registrations, purchases, courses, testing material and more. A website of this magnitude requires extensive knowledge of custom PHP and MySQL coding. This is an add-on business listing script we built custom for this website. This script includes a custom, back-end MySQL database that stores all the businesses and their information. 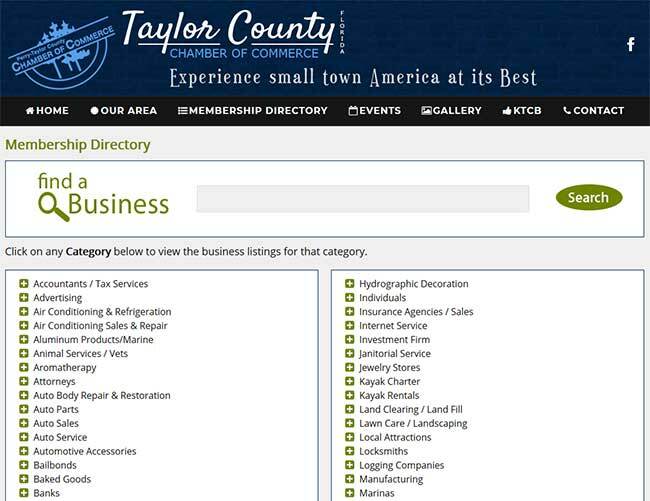 The website has a custom administration area for management of these businesses by the site owner. 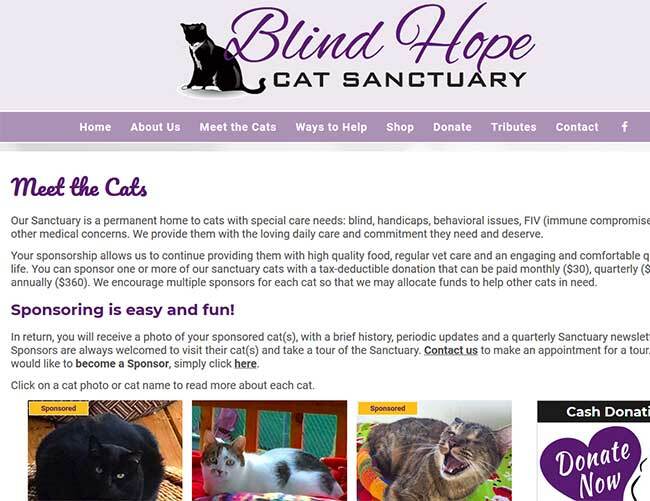 This is a website for the Blind Hope Cat Sanctuary. We built this entire website and this cat management script is one of the nice features we added to the site for the owner. There's a custom back-end MySQL database in which the site owner can upload photos of each cat and information about the cats, but living and deceased, and the website will automatically list the live cats on the Meet the Cats page, and automatically list the deceased cats on the In Loving Memory page. We added many automated features to this website using the same database. 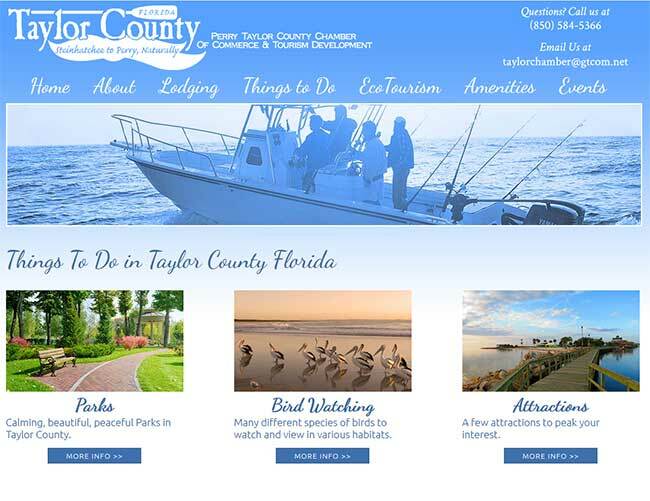 We also provided the owner with a custom administration area for managing all aspects of this website. 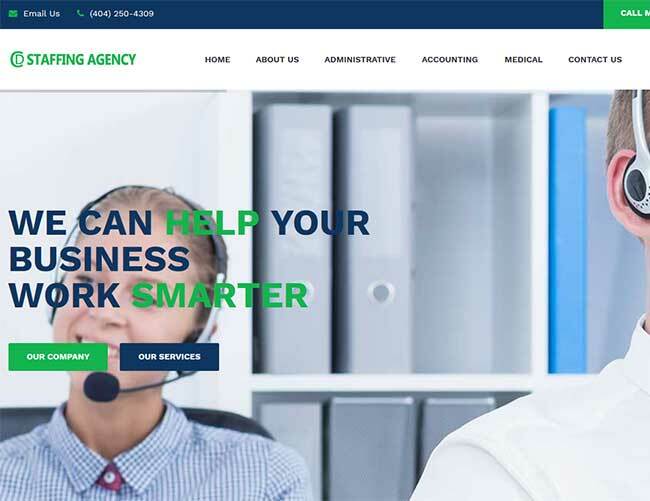 We are the builders of this website for a B2B staffing agency in Atlanta, GA. We did build a special function into this website ... a Call Me script. We built a custom, back-end MySQL database that stores all names and numbers of the site visitors that activate this Call Me script. The script also notifies the site owner immediately of the desired call back from the site visitor. 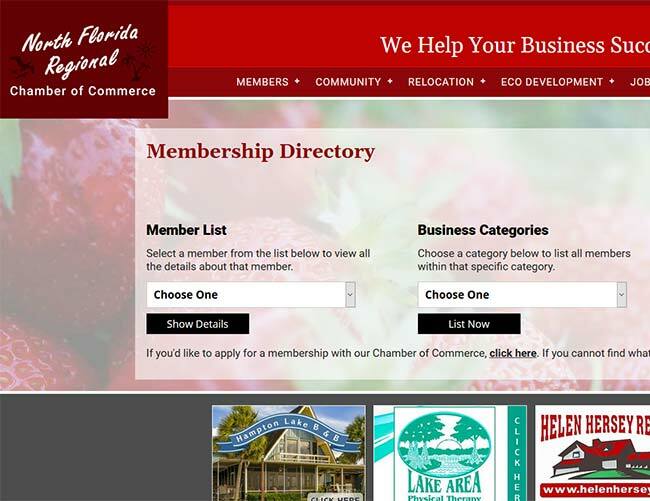 We are the builders of this website for the North Florida Chamber of Commerce in Starke, FL. We did build a special function into this website ... a Member Listing Script. This script includes a custom, back-end MySQL database that stores all the chamber members and their information. The website has a custom administration area for managing these members as well. On the front-side of the website, the Member Area allows for various ways to search the members and then display their information in a pleasing manner onscreen. We did build a special add-on script for this website ... a Member Listing Script. This script includes a custom, back-end MySQL database that stores all the chamber members and their information. The website has a custom administration area for managing these members as well. On the front-side of the website, the Member Area allows for various ways to search the members and then display their information in a pleasing manner onscreen. This is an add-on business listing script we built custom for this website. This script includes a custom, back-end MySQL database that stores all the businesses and their information. The website has a custom administration area for management of these businesses by the site owner. This script displays the business information cleanly and fast. 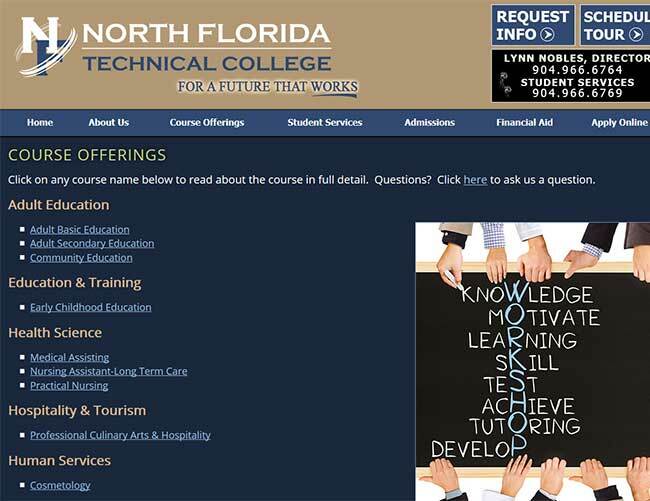 This is an add-on to a technical college that is a course listing script we built custom for this website. This script includes a custom, back-end MySQL database that stores all the courses and their information. The website has a custom administration area for management of these courses by the site owner. We have been in business since 2002 and have built countless add-on scripts for websites. We are subcontracted by other web design companies and are not always able to show our full portfolio; but, we have built countless websites and add-on scripts through the years. Websites come and go every day and, unfortunately, many of the websites for which we have built add-on scripts have dissolved; therefore, we cannot show those scripts. Make no mistake ... we are SPECIALISTS in building add-on scripts for websites. Script Store is a website where you can purchase PHP scripts for installation to your website. We offer Free Quotes for custom PHP scripts. We are specialists in custom database development and custom PHP scripts. But, we are also long-time custom web designers.